I've always loved the idea of the Souffle gel pens. They have a little bit of a fluffy look to them. While playing with them I found they work best when you slow the speed down on the Cameo, it gives more time for the ink to get onto the surface. 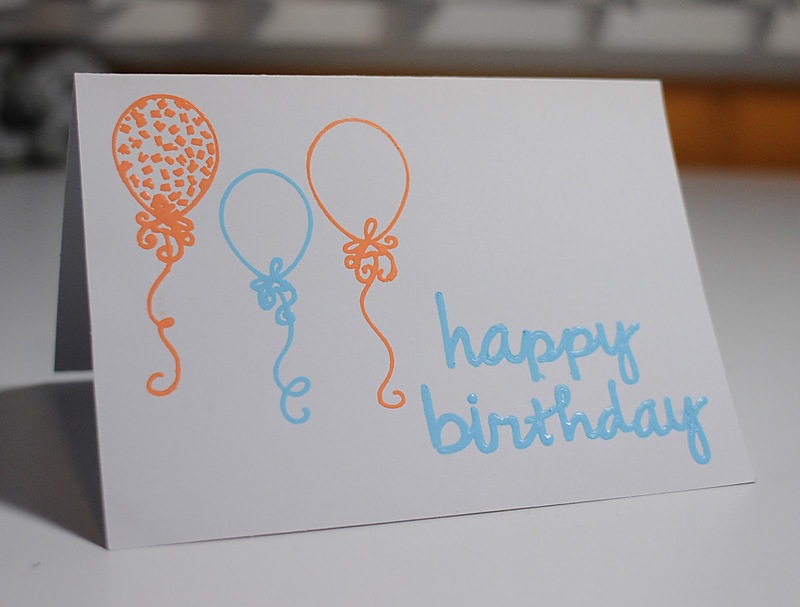 This was actually a very quick card as I used the balloons sketch & happy birthday script from the Silhouette store. Using the Chomas Creations adjustable pen holder with the thickness at 9 & the speed at 3, I added the Souffle gel pens to the holder and drew out the images. Then I took less then a minute to color in the sentiment. Don't forget to use the coupon code january10 to save 10% off your entire purchase in the Chomas Creations store! Good till January 31! 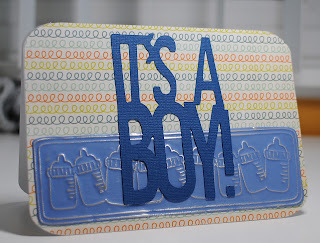 It's a boy card (hopefully, every once in awhile they are wrong!) for my new nephew that will be coming on Thursday! I'm very excited for his arrival! If you would like to make this card with Design Studio, Doodlecharms and Boys Will be Boys cartridges, you can download the file here... it's a baby card And if you need it for a girl, that is included in the file as well! I used the Chomas Creations embossing kit to make the bottle border on the bottom of this card. 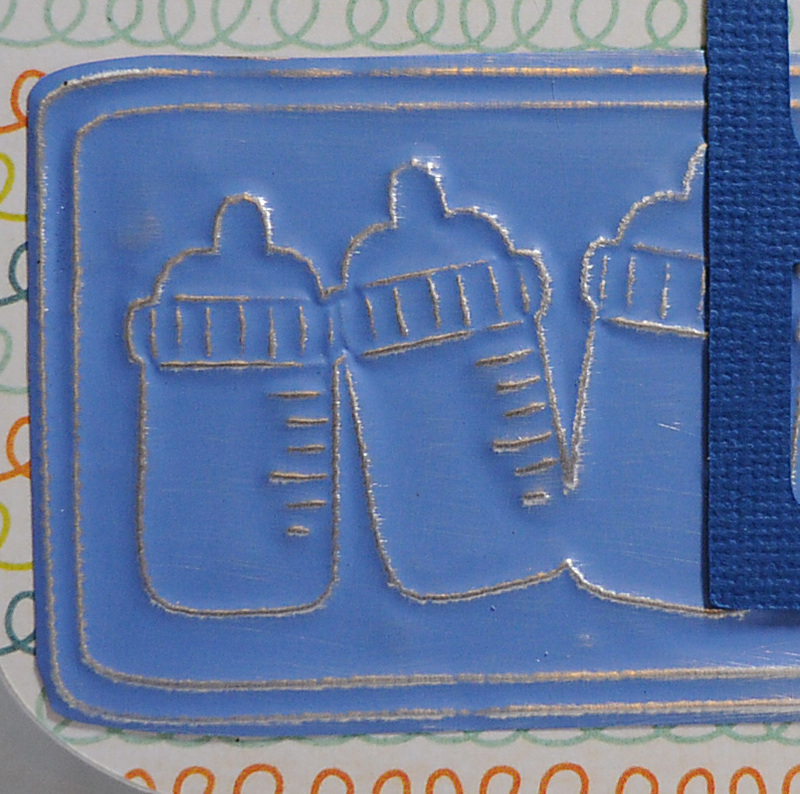 By adding the metal sheet colored side down, then embossing, you can sand the raised image to get this look. Don't forget to use the coupon code january10 at checkout in the Chomas Creations store to save 10% off your entire purchase! Just like yesterday's card, I have a lot of pre-cut 4x5.5 kraft cards I need to use up from the holidays, so I used the Chomas Creations adjustable pen holder with the black metallic Chomas Creations gel pen from the assorted pack of gel pens to draw the sentiment right on the card. Then I just added a chipboard sticker. Super easy! Now I just need more time to play with my new software!!! Also keep in mind you can use the coupon code january10 at checkout in the Chomas Creations store to save 10% off your entire purchase! Another January birthday party to go to! So another birthday card. Also use the coupon code january10 to save 10% off your entire purchase in the Chomas Creations store! 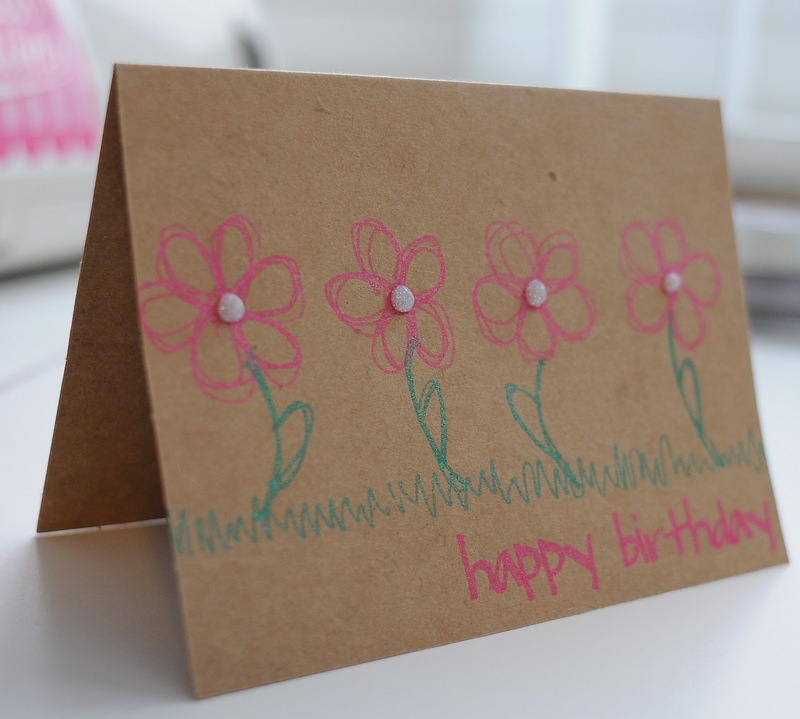 To make card making easier this year, I invested in a 50 pack of 4x5.5 inch cards with envelopes in kraft color. I added this to my mat and drew right on it. 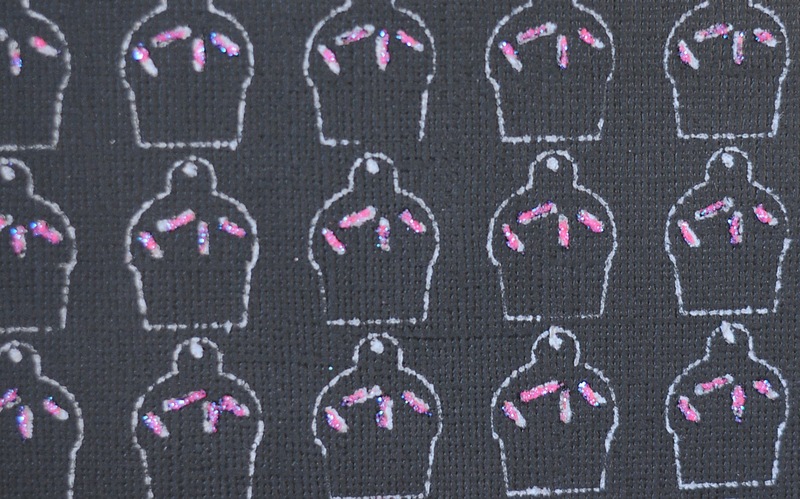 I used layers in MTC as well, so that I could draw in different colors of Sharpie glitter paint markers using the Chomas Creations adjustable marker holder. To do this, it is as simple as turning off layers (clicking on the eye to turn off a layer). 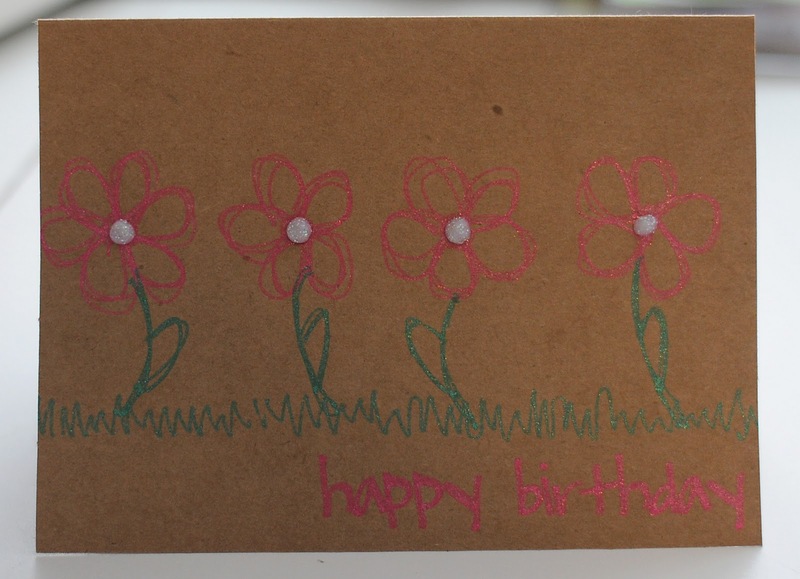 As you can see I turned off the grass and flower stems and then drew the petals and happy birthday sentiment first. Then insert the Chomas Creations adjustable marker holder into the Cameo & add the Sharpie paint marker into the holder. Draw your images on a pressure of 8, and speed of 5. Do not remove your mat from the machine. Now swith the layers that are on and off, so that the grass and stems are now showing. Replace your Sharpie paint marker in the Chomas Creations adjustable marker holder (you do not need to take the holder out of the machine) with a green marker. Now draw these images. This is a pretty simple card. I did add some Viva Decor glitter glue to the center of my flowers. My nephew's birthday is this month so I needed a boy like card for this one. I found these silver cardstock like papers at Joanns and Target that are by Colorbok and are super cheap! 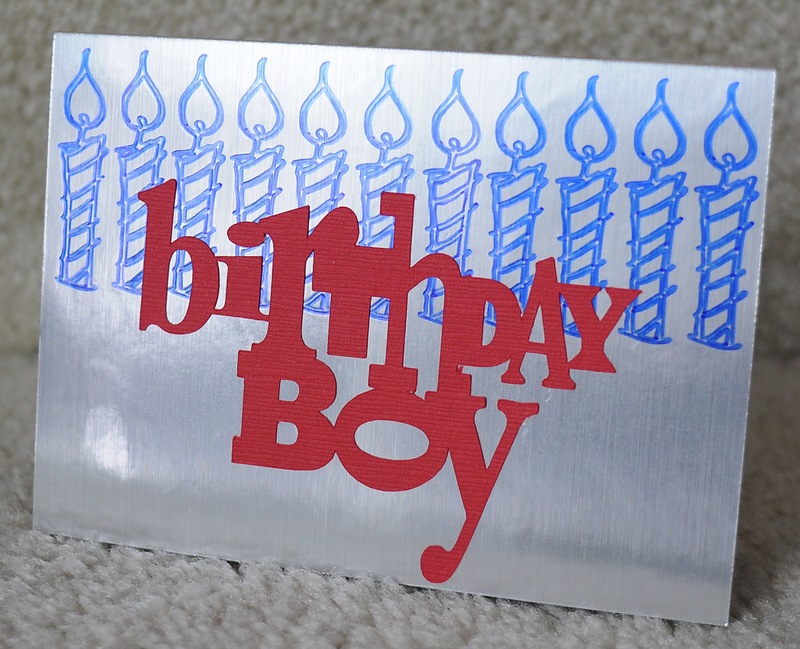 The silver is slippery, so you need something like a Sharpie or Bic Mark-Its (permanent markers) to use to write on it. 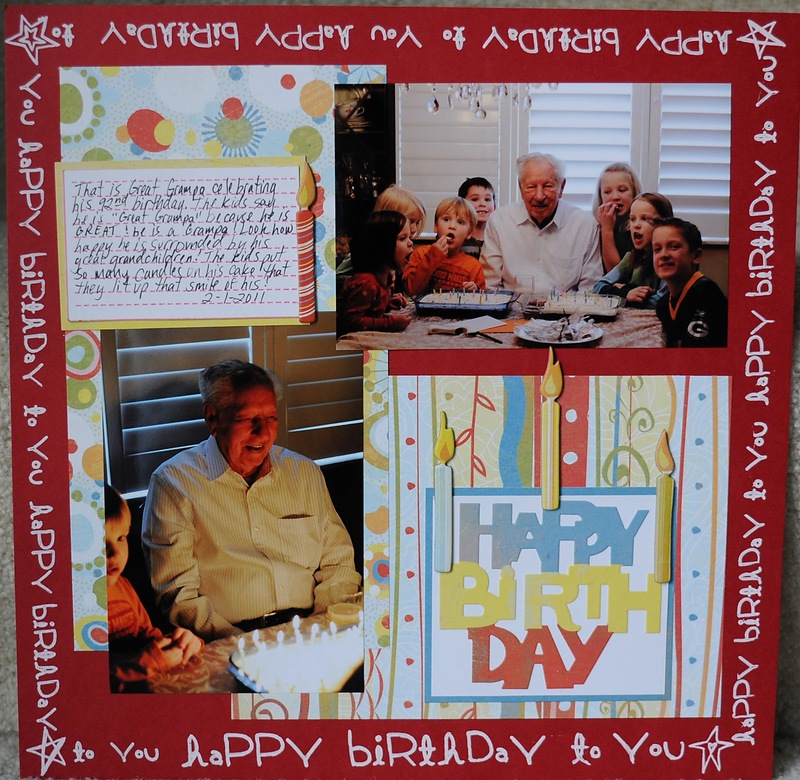 Because he turned 11, I added 11 candles to the card with the Chomas Creations adjustable marker holder and a Bic Mark-It. I like to use double cut when using the markers to make them show up even more bold. 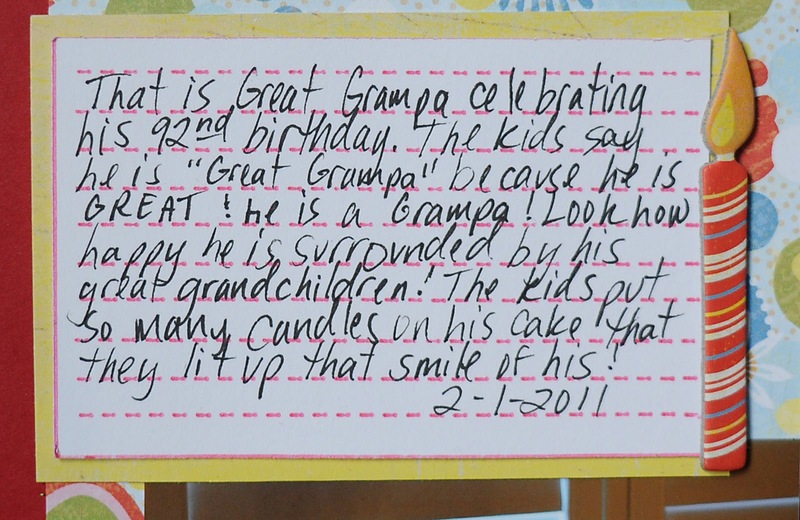 The candle was from Studio (birthday candle) as well as the birthday boy phrase (house of 3 birthday boy). Don't forget to use the coupon code january10 at checkout to save 10% off your entire purchase in the Chomas Creations store! Ooooh I love me some clear cardstock for making cards!!! 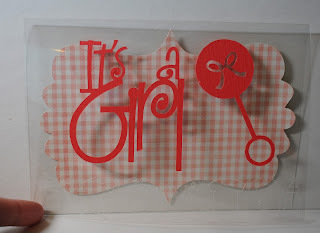 And my fav thing to do with it is etch into it with the Chomas Creations engraving tip! 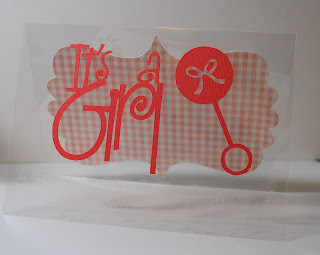 One of my friends just had a baby girl, so I thought it would be fun to etch some baby designs that I downloaded from Studio (baby shapes), and then etched them with the Chomas Creations engraving tip as a border along the bottom of this card. It is hard to see in the picture, but click on it to get a better look. 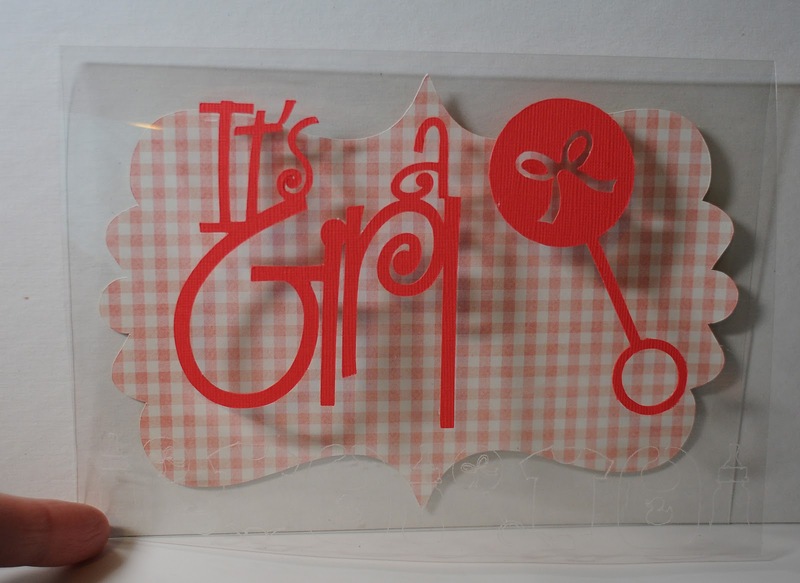 I also used the It's a Girl design from Studio (It's A Girl design by Hero Arts ) to add to the front of the card. 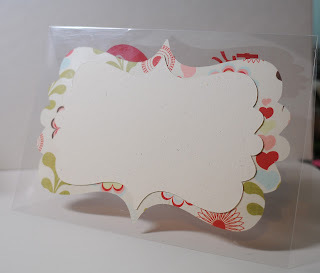 Layering on clear cardstock is my fav thing to do! I added this bracket design (2 layer tag) to the inside back of the card and for a place to write, I added a cream colored one to the back of the card. 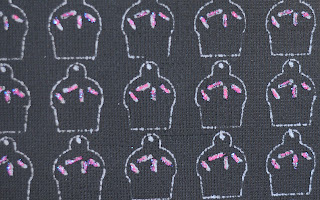 Don't forget to use the coupon code january10 to save 10% off your entire order in the Chomas Creations store. I used the Chomas Creations engraving tip to etch the cupcake design into Core'dinations cardstock. I use a multi-cut of 2 for this to really dig into that paper! This is the engrave page in the DS file, then I replaced the blade in place of the engraving tip to cut the cut around the cupcakes using the engrave cut page in the DS file. 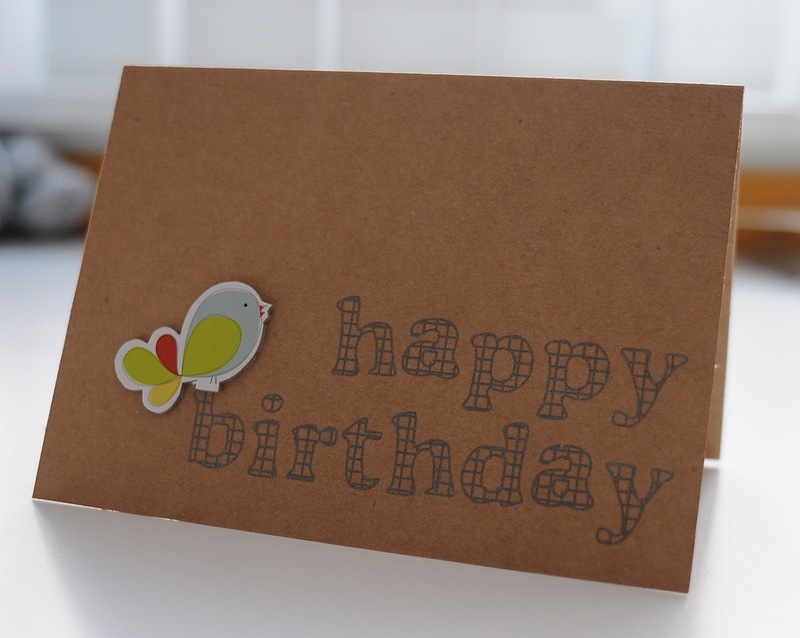 I also used the Chomas Creations engraving tip to score the card. 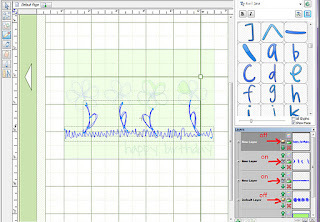 I set my pressure to high, and then scrored the emboss page of the DS file. I then replaced the blade in place of the engraving tool and cut the card shape with the card cut page of the DS file. Next I cut the celebrate page of the DS file and added them to my cards, and added Stickles over all of the sprinkles on the cupcakes. Well it is time I put together a list of my favorite fonts for journaling! 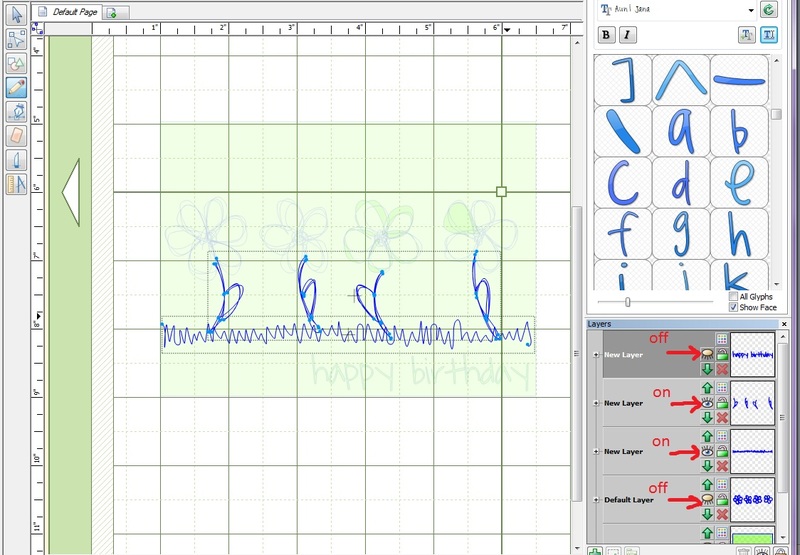 These are the fonts that are thinner lined, so they won't look like they have that double lined look. Click on the fonts to be taken to the site that you can download these at. 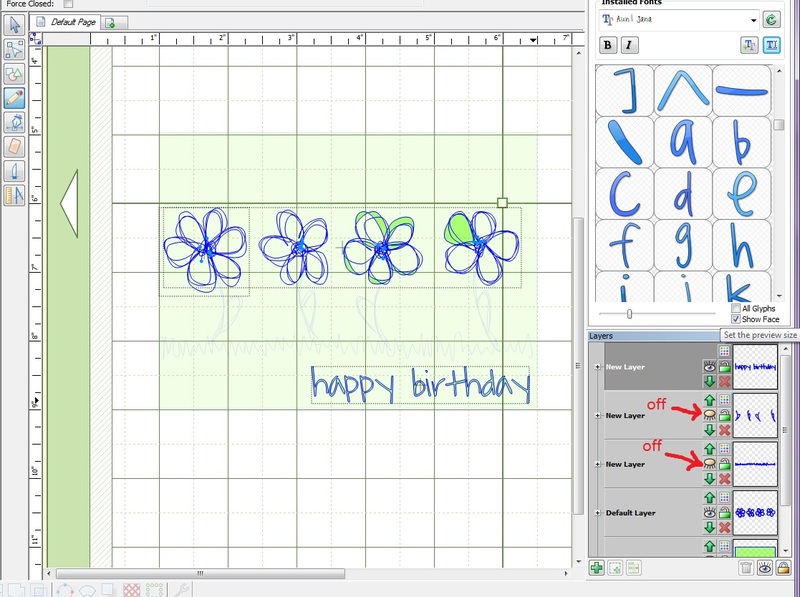 Keep in mind, these are double lined fonts, so the larger you make them, the more you will be able to tell. Of course there are many, many more!! These are just what I have that I know have worked for me so far! So here is a page I did with the first font on my list, Fire Fly Castle. I used the font to journal around the page then used the Chomas Creations adjustable marker holder with the white Signo Uni ball gel pen. Notice how when I made the font bigger on the bottom, you can see the double lines. 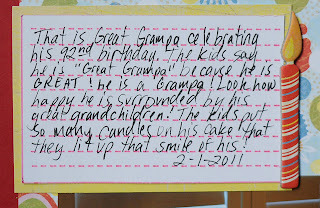 I simply grabbed my white gel pen and colored in the middle, as you can see on the letters "HAP" in the picture below. It didn't take long at all to finish this! 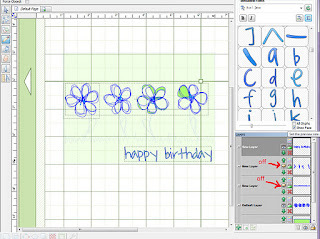 The Studio file for this page is available for download here... happy birthday Here is a close up of the font in a smaller size, where you can't tell that it is double lined because of how close the lines are together. Here is the finished page. 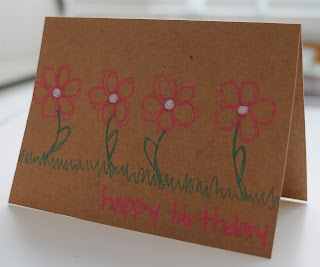 These are some old Basic Grey papers, and stickers I had so I used a bunch of scraps on this! Nice to use up some of that stash! Don't forget to use the coupon code january10 to save 10% off your entire purchase in the Chomas Creations store!